Whether you have pain as a result of fibromyalgia, cancer treatments, arthritis, a new injury or an old injury, you need to find a way to get relief from your pain. So what’s the best method? The first thing you need to do is make an appointment with your doctor so that you can determine what the cause of your pain is and learn what Pain Management approach is likely to be most effective in treating it. There are numerous pain management options so while it may take some trial and error, you and your doctor should be able to find a treatment or combination of treatments that works to bring you relief. Why is Pain Experienced Differently Among People? Pain is physical and it is very real, but pain measurement is specific to the individual and on that individual’s perception of pain, which is why each person feels and reacts to pain differently. According to the experts how the brain perceives pain is affected by one’s emotions. What this means is that a person who is depressed, anxious or fearful may experience pain much differently, often more severe, than a person who has pain but who has no emotional issue. Pain management should address both the physical and emotional components – in other words, individuals should be treated as a whole human. For many chronic pain medication is important in pain management providing the necessary relief, it is not the only tool that can be used to treat pain. • Opioids – Hydrocodone, Percocet, OxyContin, Vicodin, Demerol, etc. • Benzodiazepines – Ativan, Halcion, Xanax, etc. • Injections – Opioids, corticosteroids, etc. • Physical Therapy – This is an important component of pain management. When exercise is done incorrectly, it can make your pain worse. A physical therapist can create an exercise program that’s right for you so that you can build up your tolerance and reduce your pain. • Cognitive Behavioral Therapy – This type of therapy helps an individual to learn and understand what is causing their pain and what can be done about it. 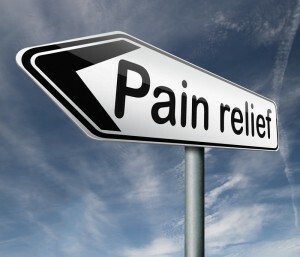 What’s important is seeking help to find relief from your pain sooner rather than later. Chronic pain can destroy your ability to properly function in the world and so it’s important to seek help in your pain management so that you can lead a normal, productive, and happy life. This might involve one or more of the treatment options we’ve discussed along with others. If you have severe neck that radiates down your arm and into your hand, it is generally caused by a traumatic injury or a herniated disk that causes a compromised nerve exit, which results in nerve compression. Cervical nerve root neck pain will require pain management by a physician or physiotherapist. Usually, the areas most commonly affected are the C7 nerve 60 percent of the time and the C6 nerve 25 percent of the time. Around 25 percent of arm pain is the result of an acute prolapsed disc, although in older people it is usually the result of the exit channel narrowing from body outgrowths, ligament infolding, bulging discs and facet joint enlargement because of arthritis. Routinely physiotherapists assess this kind of neck pain, and then develop a pain management plan and treat the underlying cause. While cervical radiculopathy does occur, it is a rather uncommon condition, occurring much less often than lumbar root lesions like sciatica. 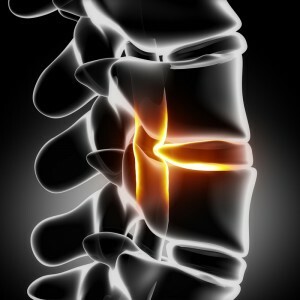 There can be numerous reasons for nerve root neck pain onset or it may come on slowly with the reason not being clear. • During a trauma like a fall, your neck can become bent to one side and then rotated and extended back, which can lead to a sudden narrowing for the nerve and compression leading to injury. • A sudden bend to your opposite side with either extension or cervical flexion can traction the nerve on one side, which leads to injury. • A sudden load on your cervical spine occurring in any position can cause disc prolapse. • In older persons if there is osteophytes present repeated or sustained extension with rotation can lead to nerve irritation with the onset being slower. When the physiotherapist exams he or she will record any muscle spasms, check your reflexes and muscle power, and look at the movements that aggravate your pain. 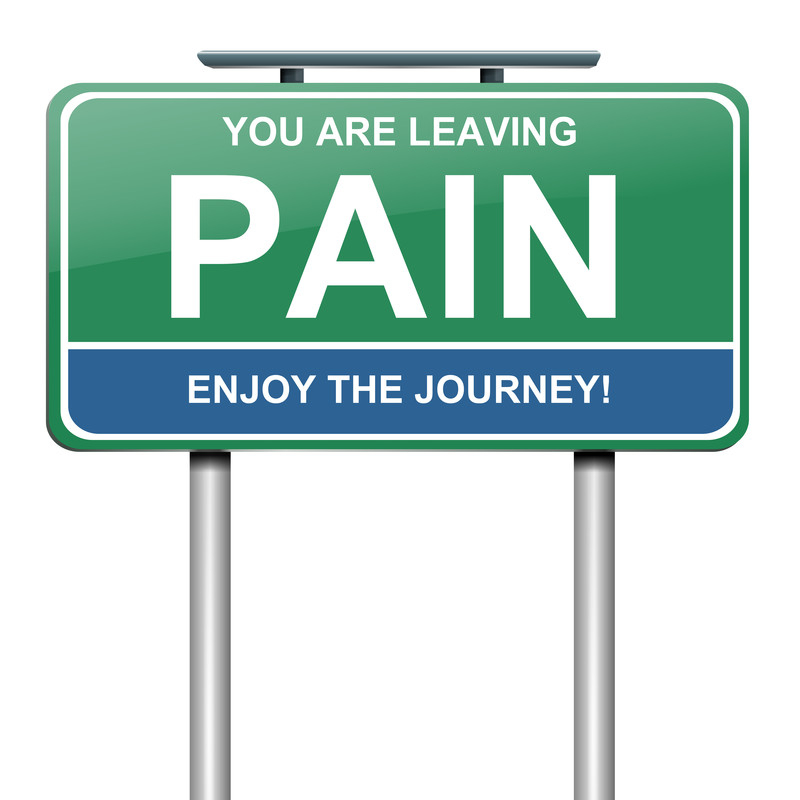 The first step in pain management is to reduce your pain and inflammation. This might include NSAIDs, Tylenol, prescription narcotics, and it can include treatments such as cervical epidural steroid injections, acupuncture, mechanical or manual traction and cryotherapy. After the acute phase when Pain Management has brought relieve your physiotherapist will concentrate on regaining your neck movement, and ensuring long term that your pain is managed or that your injury is controlled and therefore pain is no longer a concern so pain management is no longer necessary. There are many kinds of neck injuries but cervical nerve root neck pain is one of the rarest and most serious conditions. It is important if you have neck pain to see your doctor so that it can be further looked at to determine the seriousness, if the underlying cause can be determined, and what the condition is along with ensuring pain management is available so you no longer need to suffer. 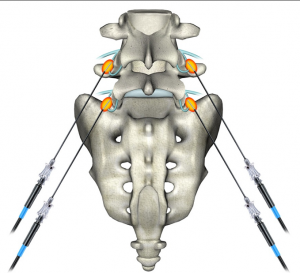 How does a Discogram Help in Pain Management? A discogram is a test that is done for evaluating whether a patient needs a disk surgery or not. It is an advanced test whose basic aim is to locate the spinal disc that is causing the pain to the patient and the amount of structural damage suffered by that disc. Which Patients Undergo this Test? The discogram test is not advised to all the patients suffering from back pain. It is performed only on those patients in whom the cause of their pain is invisible. For such patients, the use of CT scans and MRI is done at first to start the identification of the root cause of the pain. A discogram is purely a diagnostic test. 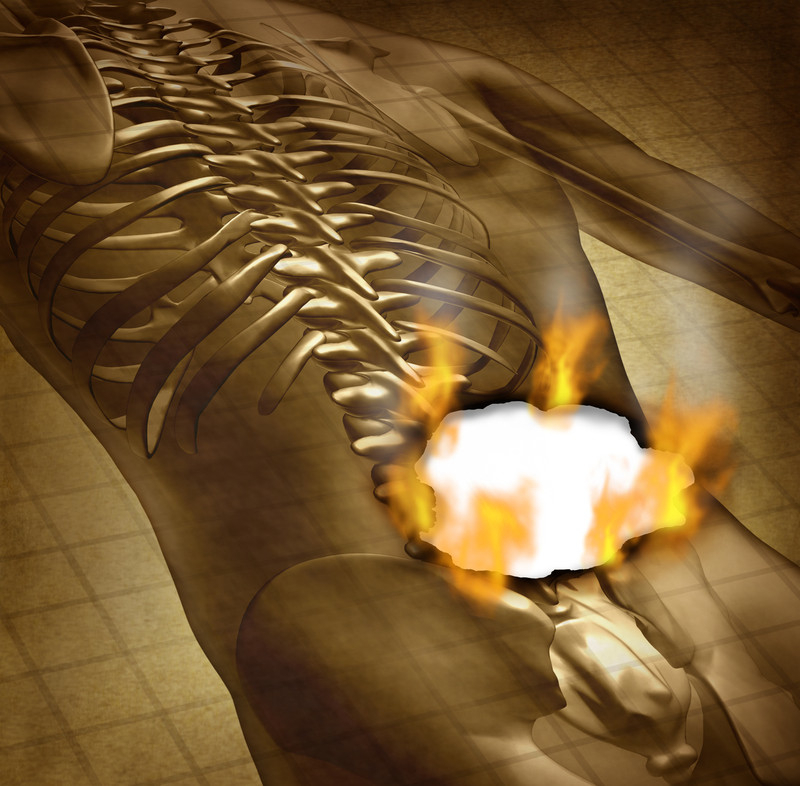 It can help with identifying a disc as the source of a patient’s pain, but it does not help therapeutically. It’s not a pain relieving procedure. The test is conducted using a fluoroscope, a large needle and dye. The Las Vegas pain management doctor usually gives a medication first to relax the nerves of the patient before starting the test. The area of the back is numbed using a local anesthetic so that the patient feels minimal if any pain in those soft tissues. 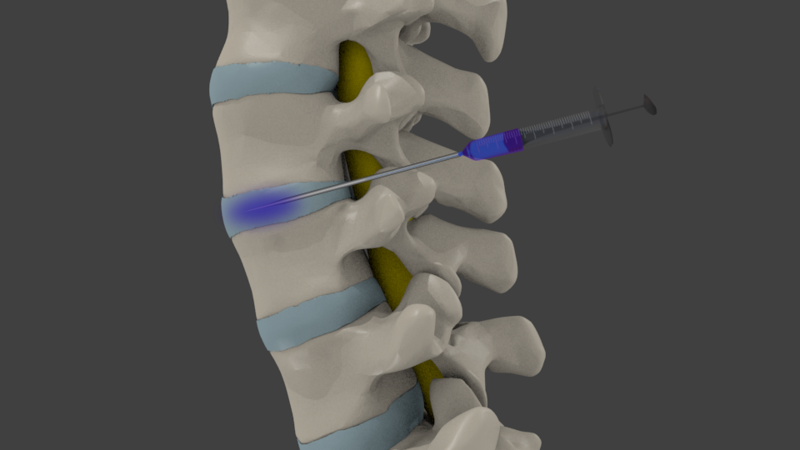 The Pain Management Doctor in Las Vegas then injects the dye in the discs of the patient’s spine under evaluation. This dye is inserted to help the doctor in clearly seeing the inside portion of the spinal disc. The fluoroscope helps the doctor in placing the needle accurately and making sure that it does not go elsewhere. Once the affected spinal disc has been identified the doctor injects a little fluid into the disc to increase the pressure inside it. This is done to determine the amount of pain it causes the patient and also to determine the extent of the damage sustained by the outer hard shell of the disc. The pain doctor will then ask the patient if he or she feels pain. A positive test is when the pain felt is similar to what occurs on a daily basis. Along with the levels tested that are under consideration, the Las Vegas pain management clinic doctor will also test a “control” level that looks normal to make sure substantial pain is not created. If the doctors find that the pain suffered by the patient is indeed a result of the damage sustained by the disc then the patient is potentially going to be scheduled for a disc surgery. It is important to evaluate the subjective results of the levels tested along with the images obtained when the dye was injected. If the dye extravasates outside the disc under concern, that means degenerative changes are present. Risks Involved in the Test? The patient can develop an allergy to the dye that would be injected in to his body for clear viewing of the spinal discs. There is a very small risk of infection. 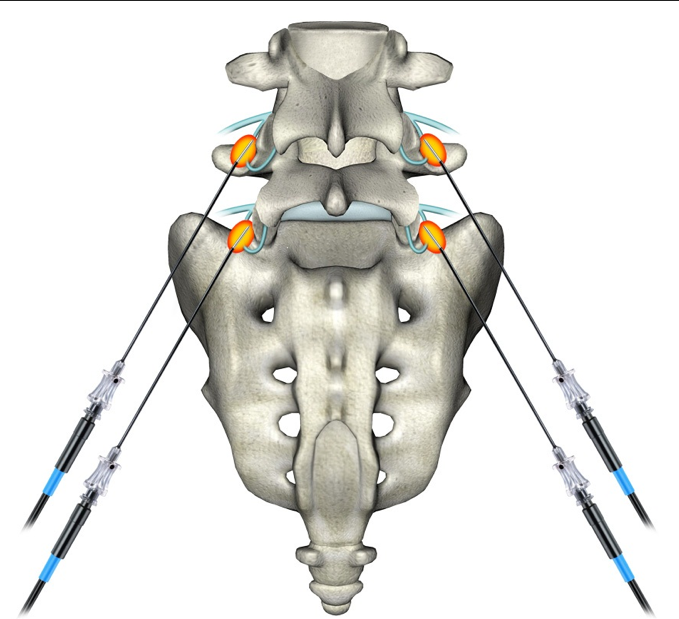 A discogram is not a treatment method so it cannot reduce the pain suffered by the patient. However, it is a very good diagnostic measure for finding the cause of the pain which can then be treated with surgery. It is important for the test to be performed by an expert Las Vegas pain management doctor such as the Board Certified ones at Innovative Pain Care. Over 50 insurance plans are accepted at the Henderson and Las Vegas pain clinics, and there are multiple convenient locations. Radiofrequency Ablation is a newly developed medical procedure that involves the destroying of the nerves responsible for supplying a tumor or conducting pain signals to the brain. The deadening of the nerves is carried out by heat which is produced by a high frequency AC current of about 350-550 KHz. This medical procedure is currently being used for treating conditions like tumors and various pain management regimes. The following are some of the disorders for which radiofrequency ablation is indicated. The most common problem for which the use of radiofrequency ablation is indicated for Pain Management Doctors in Las Vegas is chronic pain. People suffering from pain due to arthrits in the spinal joints of the neck or back are being given this treatment to alleviate their agony by destroying the nerves that are responsible for carrying pain messages to the brain. With the nerves no longer sending pain signals to the brain, the pain felt by the patient is reduced substantially, often for well over a year. The patients suffering from lower back and neck pain, not arm or leg pain, are among the ones that are considered the most suitable for this procedure. If the pain returns after six to 18 months, studies show that a repeat RF procedure at a Las Vegas Pain Clinic usually has the same pain relief outcome. The patients having inoperable liver tumors are considered among the most ideal candidates for this procedure. 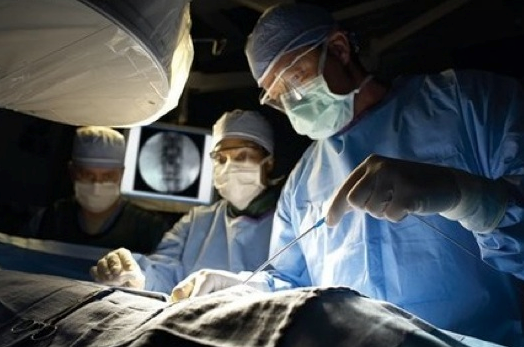 Moreover, radiofrequency ablation is indicated as the best option for those patients as well that have a liver tumor but cannot undergo surgery because of their inability to survive anesthesia. Since this procedure does not require general anesthesia therefore it is perfect for treating the tumors of such patients. In addition to this, patients with first stage Hepatocellular carcinoma, patients waiting for a liver transplant and patients having lesions of progressive nature are also seen as prime candidates for undergoing this procedure. The use of radiofrequency ablation is nowadays being indicated for treating the small tumors present in the lungs, breasts and kidneys. The patients who have their tumors in the initial stages can be treated with ease using this non-surgical procedure. Radiofrequency ablation has been found to be very effective in treating a number of different types of cardiac arrhythmias. Latest studies have shown that this procedure can effectively treat the patients who are suffering from supraventricular tachycardia. 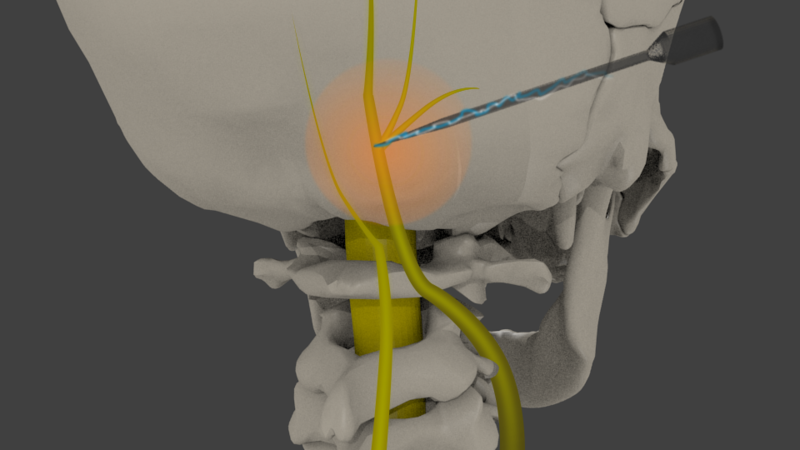 Almost all of the patients that are now admitted with this condition are indicated for receiving radiofrequency ablation as it has a greater amount of success rate than any other treatment method. Furthermore, this procedure is also being indicated for other heart disorders like atrial tachycardia, ventricular arrhythmia, atrial fibrillation and atrial flutter. Patients showing symptoms of varicose veins are also being treated with radiofrequency ablation nowadays. The reason for this is the high success rate that has been seen with the use of this medical procedure in treating symptoms of varicose veins. The radio-energy used in radiofrequency ablation easily closes the vein that is causing the problem. This is the reason why it has become the leading treatment method being indicated for this circulatory disorder. The procedure itself is very similar across the various indications, whether it’s for pain management, cardiac needs, etc. When it comes to pain management, the premier Pain Clinics in Las Vegas and Henderson are Innovative Pain Care. The Board Certified doctors offer radiofrequency procedures when indicated along with numerous other cutting edge options such as spinal cord stimulator implants. Over 25 options for pain relief are available, spanning between medication managements and interventional procedures. Over 50 insurance plans are accepted, call (702) 323-0553 for more information and scheduling today! What’s the best pain management for peripheral neuropathy? Peripheral Neuropathy is a medical condition in which the patient suffers from pain that is felt in his hands, feet and various other parts of his body. Usually the result of nerve damage, the pain caused by this disorder is of a tingling nature. Some patients with peripheral neuropathy might also feel numbness, weakness and a loss of sensation in their hands and feet too. Exposure to toxins, injuries sustained in an accident, infection and diabetes are considered among the most common reasons for this disorder. There are several pain management regimes that are available for patients suffering from peripheral neuropathy. Medications for relieving the pain are considered the best means of pain management for peripheral neuropathy. There are a number of medications that are prescribed by Las Vegas Pain Management Doctors for this purpose, depending on the frequency and the intensity of the pain suffered by the patient. Amitriptyline: These medications are indicated for patients whose neuropathic pain does not stem from diabetes. These medications were initially developed for treating symptoms of depression but have been found to be extremely useful in the treatment of peripheral neuropathy as well. Pregabalin: Pregabalin is an alternative for Amitriptyline that are usually prescribed by doctors for patients who are unwilling to take Amitriptyline because of its side-effects. 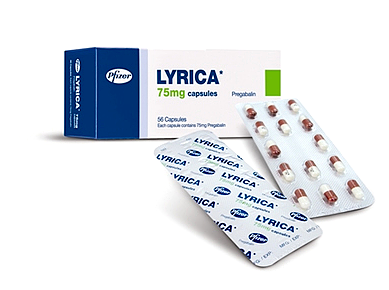 A newer version of the medication is known as Lyrica. Both may be extremely effective for neuropathy. Duloxetine: Duloxetine is a medication that can prove to be quite effective in treating neuropathic pain caused due to diabetes. Similar to the Amitriptyline, the Duloxetine was also developed for treating depression but has proved itself to be excellent for managing the pain caused by peripheral neuropathy. 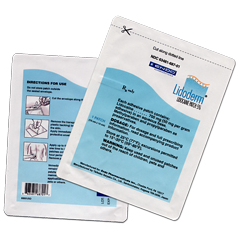 Lidocaine Patch: Lidocaine patches are sometimes advised by Las Vegas pain clinics for reducing the pain felt by the patients of this disorder. These patches are soaked in the topical anesthetic named Lidocaine and can help in relieving the pain. A person can use anywhere from one to four of these patches for managing the severe pain throughout the course of a day. There are other topical pain medications which can help substantially. Besides pain medications, several therapies are also indicated by the doctors for alleviating the pain caused by peripheral neuropathy. The following are some of the best pain management therapies that are available to the patients of this disorder. TENS: Transcutaneous Electrical Nerve Stimulation or TENS is one of the devices that are considered an effective means of managing neuropathic pain. This device sends electrical signals to the nerves present in the area where you are experiencing the pain through adhesive electrodes. These electrical signals interrupt the pain signaling mechanism of the nerves, thus alleviating the pain felt by the patient. Spinal Cord Stimulator: This has been a revolutionary treatment for those with peripheral neuropathy. Studies have shown that a spinal cord stimulator may not only decrease the amount of pain being experience d, but also may help restore some sensation that had been lost from the neuropathy. The treatment has been an excellent option for those with diabetic neuropathy especially. In short, there is no single best pain management technique for peripheral neuropathy. A combination of the many available treatment methods is thus, a better option to use for managing the pain in a better manner. Top Las Vegas and Henderson pain management clinics Innovative Pain Care offers several Board Certified doctors. These doctors offer both medication management and interventional procedures to bring neuropathy patients a very high success rate for pain relief. What are the steps in Getting a Spinal Cord Stimulator? A spinal cord stimulator is an electronic device used for lessening the pain caused by sciatica, complex regional pain syndrome and arachnoiditis as well as other chronic pain syndromes such as failed back surgery or post laminectomy syndrome. It is basically an instrument that stimulates the nerve fibers and breaks up the pain signals from reaching the brain. 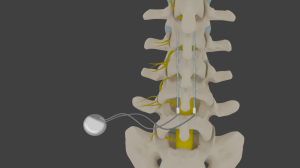 The stimulation provided by the spinal cord stimulator is a low voltage current that is transmitted through multiple small wires which are connected to a pulse generator. For the stimulator to work it has to be placed inside the patient’s body with a minor surgical procedure. The following are the steps that are involved in getting a spinal cord stimulator. 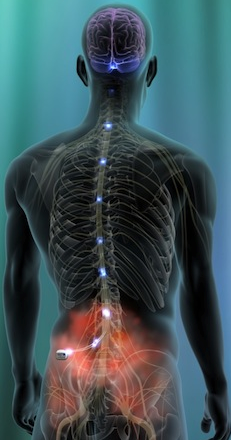 The first step in getting a spinal cord stimulator is to undergo a trial stimulation. This is conducted to check if the placement of the stimulator is going to help you in lessening your pain or not. 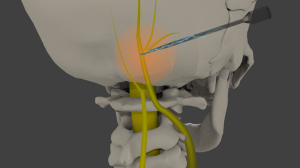 During this procedure a lead is inserted into the patient’s spinal canal percutaneously with an external generator providing it the current for stimulating the nerve fibers. Usually you will be given a local aesthetic for this procedure and will be over within an hour. You cannot be completely put out, since the Las Vegas pain management doctor will need input from you during the procedure after lead placement. Once the leads have been properly placed, the Henderson pain management doctor is going to try different stimulation settings to find out which one suits your pain the best. During this step, the pain management doctor in Las Vegas is going to ask you to describe the amount of pain you are feeling or the location where you are feeling the tingling sensation caused by the stimulation. This feedback is going to be used for programming the pulse generator according to your pain needs. The lead is left in place and comes out of the skin and is secured with a sterile dressing. It is left in place for 5 to 7 days to see how well it is going to work. If the trial stimulation is successful and you experience a substantial decrease in your pain, you will be scheduled for the permanent placement of the stimulator. One additional step typically required for approval of the final SCS is a psychology evaluation. This can help uncover any concomitant mental health issues such as depression that may need treatment as well. For final placement, patients llie down on an operating table and will be under general anesthesia. This will be followed by shaving the areas where the leads and the generator have to be placed. After the initial prepping is done, the next step is the placement of the leads. 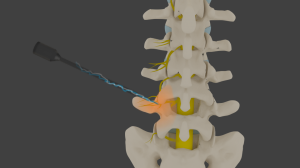 This task is going to be performed with the help of fluoroscopy and the leads are going to be placed in the epidural space of your spinal canal after making a small incision. Suturing is done to ensure the leads remain secure. The decision regarding the number of leads to be placed is entirely up to your LV pain doctor. In this step, the pain management doctor is going to place an extension wire connecting the leads to the pulse generator. This extension wire will be tunneled through the soft tissues to an area above the buttock area just under the skin reaching the spot where the pulse generator will be placed. This is the last step of the surgery in which the pulse generator (doubles as a battery) is placed in a secure fashion inside the patient’s body usually in between the layers of skin and muscle of his buttock area. Before closing the incisions and applying the dressing, the pulse generator is going to be connected with the extension wire. The newest spinal cord stimulators have a rechargeable battery that is able to be recharged through the skin. It’s amazing! Las Vegas pain clinic Innovative Pain Care offers several Board Certified pain doctors at several locations in Las Vegas and Henderson. Over 50 insurance plans are accepted! For the best pain management Las Vegas has to offer, call (702) 323-0553 for more information and scheduling today!